Nice to meet you on Audiko.net! A perfect occasion to download a free Diam's ringtones for your iPhone or mobile. Fix your favorite fragment from your favorite ballad - Kiso feat.  Kayla Diamond - I Don't Wanna Live Forever (RF Wa, Fallhead - Thinks, Fabio Rovazzi - Andiamo A Comandare, or any other track. Then download the prepared Diam's ringtones to your cell phone, and enjoy french music by Diam's every time your phone rings. On Audiko you can get your tone both in the MP3 and m4a formats, compatible with both mobile phones and iPhones. Just select a track, and choose free Diam's ringtones download option.